Online ordering menu for Cosimo's Pizza Cafe. 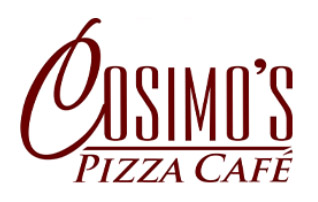 Cosimo's Pizza Cafe in Philadelphia, Pennsylvania serves Pizza Wings, Salads, Soups, and more! A few of our Gourmet Pizza creations include Spinach and Bacon, Grilled Chicken and Broccoli, and Chipotle Chicken. Our menu also features Calzones, Strombolis, Hoagies and Hot Subs, and Steaks. Find us on Germantown Avenue near the Free Library of Philadelphia and Chestnut Hill Hospital. Order online for carryout or delivery!